In the market for a quality used vehicle? When you choose a pre-owned vehicle from Planet Honda, you can be sure that whatever make and model you choose has been thoroughly tested and inspected to meet our standards. In addition, we have a wide variety of used car specials available for you to select from. 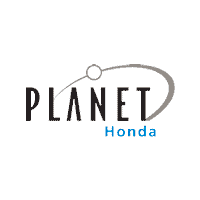 At Planet Honda, you can feel good about what you choose to drive home to Lakewood. Once you’ve had a chance to browse our pre-owned vehicle specials online, be sure to contact us to make an appointment and visit us in person! Our friendly and experienced sales staff will be available to answer any questions and will help you get behind the wheel of a pre-owned car you’re excited about for a price you’ll love. Want to make your vehicle even friendlier on your wallet? Consider trading in your vehicle.